Automotive recalls seem to be "up the yin yang", which the urban dictionary translates to - going to the extreme - and lately the media is having a field day reporting almost each and every one. If you believe that any publicity is good publicity then the carmakers must receive satisfaction in publicizing their efforts to have perfect products. The National Highway Traffic Safety Administration (NHTSA) says that traffic fatalities are the number one killer of Americans under the age of 34 but not because of defective vehicles. NHTSA says there were about 33,000 fatalities, 3.9 million non-fatal injuries, and 24 million damaged vehicles in 2010 blamed on speeding, drunk driving, distractions, ignoring pedestrians and bicyclists and failure to wear seat belts. The number of recalls is deep in the millions of vehicles - and, just in the month of May. GM alone has a total of 5,560,005 and Ford had 598,758 May vehicle recalls based on data at the NHTSA website. The recalls can be as serious as issues causing fire risks like gas tanks over-filling or switches overheating. Other needed possible life-threatening fixes include doors that may open while driving, fatigued or fractured cables including seat belts, missing bolts or welds, acceleration lag, air bag deployment failure or delay. And there's inoperative lights, wipers and child locks, corrosive parts, voltage fluctuations affecting lights, software glitches and the list goes on. Manufacturers voluntarily initiate many of these recalls to comply with laws and presumably for the safety of their customers. Cars have about 30,000 parts, including about 10,000 moving parts, made by hundreds of suppliers who strive for perfection by transitioning raw materials into strictly specified quality items but, by the sheer numbers, defects are inevitable. Then there's the complex assembly process. It's amazing when you think about it. Recalls are good news for the consumers. They get their vehicle fixed free by the manufacturer which may result in customer satisfaction, a key loyalty metric in the auto business. It 's great news for dealers who get money from the manufacturers and unplanned showroom visits from potential buyers who are waiting for their recall repair. With the average age of a vehicle on the road at 11 years, many people are ripe to purchase a new one - a benefit to the dealer, manufacturer and everyone on the road assuming new vehicles are safer than older ones. Dealer salesmen like nothing more than pouncing on customers walking into the dealership, and recalls bring in the "Up" bus (an industry term for prospects). 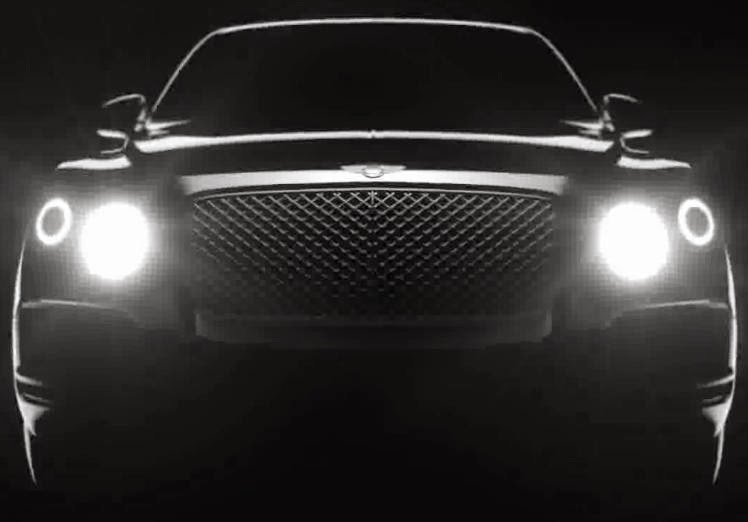 The Bentley SUV countdown to production in 2016 with a range of engines, including a plug-in hybrid option for 2017, continues with a teaser video. 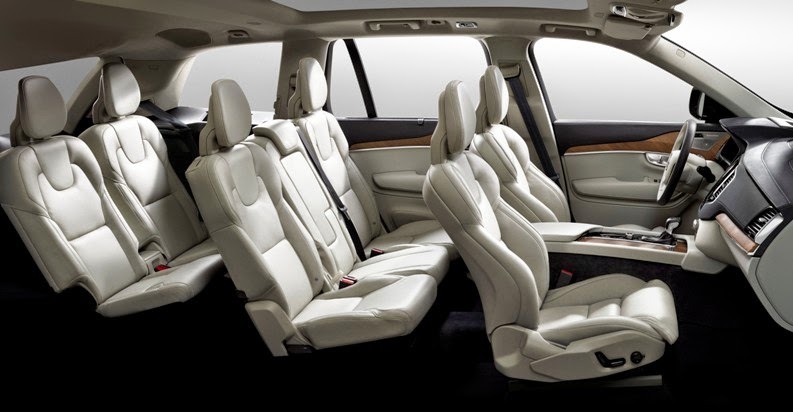 The all-new Volvo XC90 seven-seater SUV launch officially begins with the reveal of the interior with safety and interior air quality features coming later this summer, while the reveal of the technology highlights including chassis and powertrains in mid-July and continue throughout the summer until the exterior launch at the end of August. The second row features three individual seats with recline adjustment. The sliding function can be used to create more legroom for the passengers in the third row or to increase loading space if the third row seats are folded flat. More new XC90 attributes to dribble out through the summer. 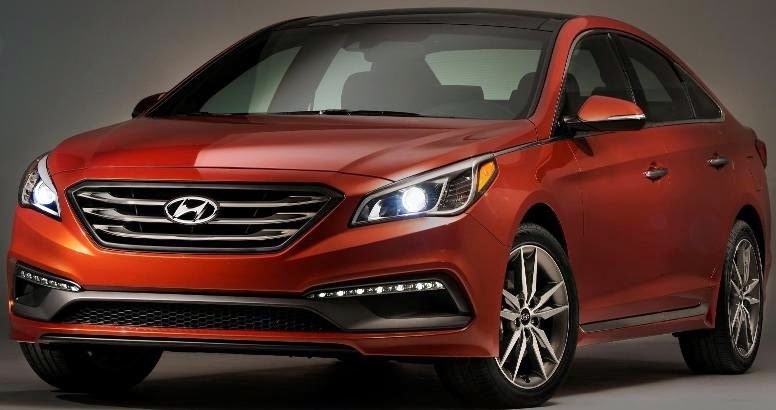 The all-new 2015 Hyundai Sonata starts at $21,960 (including $810 freight charge) for the base SE model with a 185 horsepower 2.4-liter Theta II GDI four-cylinder engine mated to a 6-Speed A/T w/SHIFTRONIC® transmission. The other models are the Sport, Limited and Sport 2.0T with a 245 horsepower 2.0-liter Theta II turbocharged GDI engine. The 2015 Sonata comes standard with seven airbags, including a new driver’s knee airbag. A Forward Collision Warning, Blind Spot Detection, Rear Cross Traffic Alert and a Lane Departure Warning System are all available. 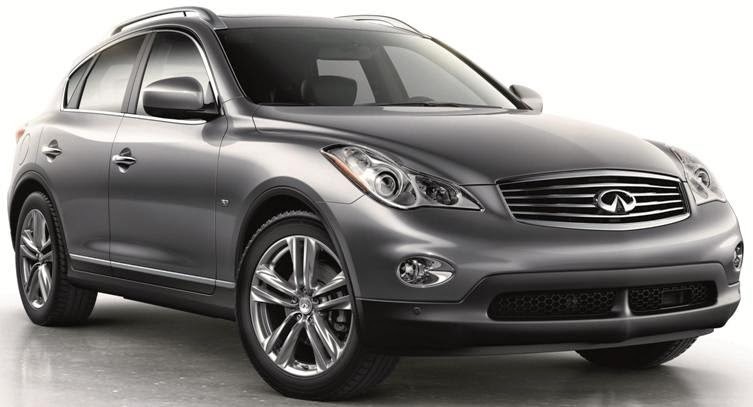 The 2015 Infiniti QX50 luxury crossover, now on sale at Infiniti retailers nationwide with a 325-horsepower 3.7-liter V6 engine mated to a 7-speed automatic transmission, comes in rear wheel and all-wheel drives in QX50 and QX50 Journey trim levels, starting at $35,995 (including $995 destination and handling). Premium, Deluxe Touring and Technology special equipment packages are also offered. The 2015 Infiniti QX70 luxury performance SUV, also now on sale, has the same engine as the QX50 and is offered in QX70 3.7 and QX70 3.7 AWD models starting at $46,845. Premium, Deluxe Touring, Technology and a new Sport are the special equipment packages offered. All-new 2015 Dodge Challenger SRT will offer a 600-plus horsepower supercharged 6.2-liter HEMI V-8 Hellcat engine. The standard 2015 Dodge Challenger SRT engine is a 485 horsepower 392 HEMI V8 and, like the Hellcat, can be mated to either an upgraded six-speed manual or the new TorqueFlite eight-speed automatic transmissions. The TorqueFlite eight-speed automatic transmission has an electronic shifter with a T-handle for gear selection and an Auto Stick selector gate for added control. The manual Tremec TR6060 six-speed manual transmission is fitted with a throwback ball shifter. Drive Modes are pre-configured for Sport, Track and Default settings, while the Custom setting lets the driver customize the drive experience to their favorite settings. The all-new 2015 Dodge Challenger SRT with a Hellcat engine comes standard with two key fobs. The red key fob is the only key that can unlock the full horsepower and torque potential of the Challenger SRT Hellcat engine while the black key fob limits the driver to a reduced engine output. Valet Mode is offered on both Challenger SRT and Challenger SRT with a Hellcat engine to significantly reduce horsepower and torque and disable many high performance options. The driver can activate and deactivate Valet Mode with a four-digit PIN code they create. The 2015 Dodge Challenger SRT coupes will be built at the Canadian Brampton Assembly plant begining in the third quarter of 2014. Hyundai Tucson Fuel Cell CUVs will go on sale within the next several weeks in Southern California for a 36-month term at $499 per month, with $2,999 down including unlimited free hydrogen refueling and “At Your Service” valet maintenance, as touted at last November's Los Angeles Auto Show. The “At Your Service” valet program, like with the pricey Equus, means a Hyundai dealer will pick up the vehicle and provide a loan vehicle for any needed service, then return the car after service to the customer's home or business, at no charge. 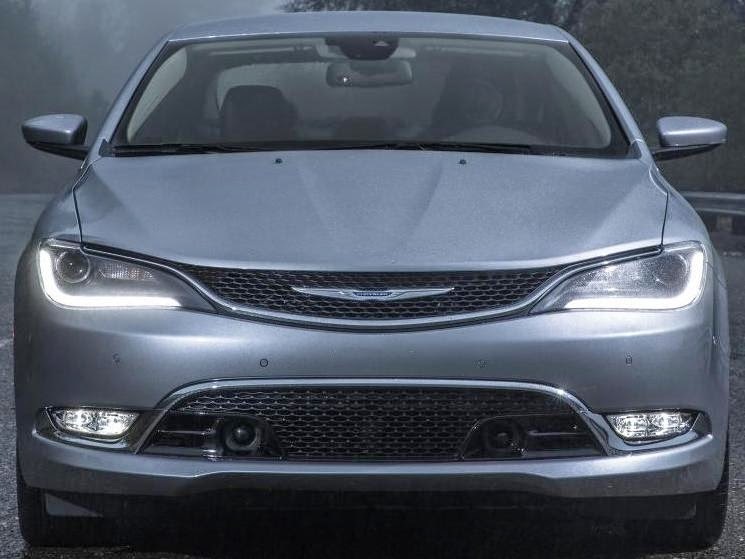 The all-new 2015 Chrysler 200 starts at $22,695, comes in four models: LX, Limited, 200S and 200C, and two engine choices: a 295 horsepower 3.6-liter Pentastar V-6 or the standard 184 horsepower 2.4-liter MultiAir2 Tigershark I-4 engine mated to a nine-speed automatic transmission with a highway fuel economy rating of 36 mpg, which is up from the January expectation of 35 mpg. The 2015 Cadillac ATS Coupe goes on sale at the end of this summer starting at $38,990 (including a $995 destination charge). The 2015 ATS Coupe rides on the same 109.3-inch wheelbase as the sedan, but is 0.8 inches longer, 0.8-inch wider and 1.1 inches lower, with its own bodywork and offering drivers the choice of rear-wheel drive or all-wheel drive, and the power from a 272 horsepower 2.0L turbocharged four-cylinder or a 321 horsepower 3.6L six-cylinder engine. 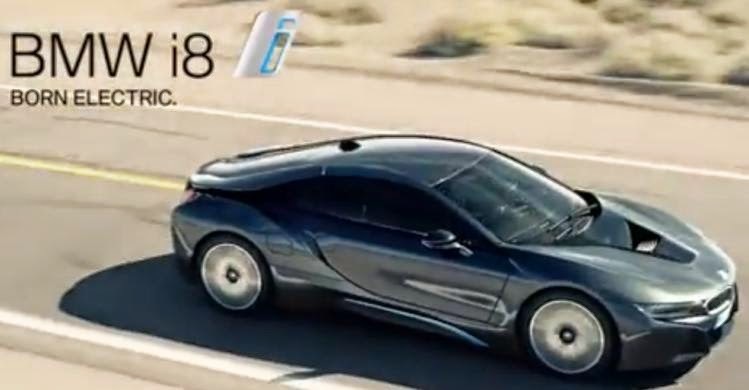 The BMW i8 plug-in hybrid campaign has launched with three TV spots shown worldwide in different versions on TV. “Genesis” features American actor Michael Pitt, from the TV series “Boardwalk Empire”. “Powerful Idea” features British actor Sam Hazeldine. “Attitude” features British actress Mickey Sumner. 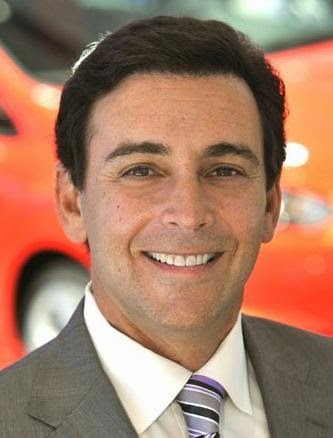 Former Hyundai Motor America President and CEO John Krafcik has joined TrueCar as President, a newly created position, after being appointed to TrueCar's board of directors last month. 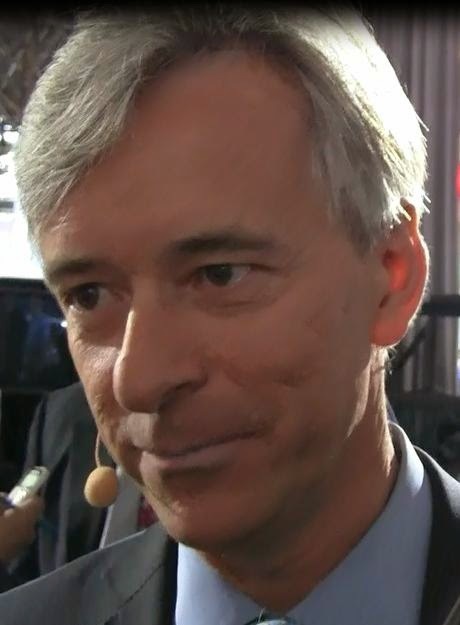 Krafcik led Hyundai to record sales and boosted the automaker's U.S. market share by more than 50 percent during his five year tenure. TrueCar gives car buyers insight into what others actually paid, upfront pricing information, and a network of trusted TrueCar Certified Dealers who provide guaranteed savings certificates to complete the car purchase. TrueCar works with more than 7,500 new car franchises and independent dealers operating in all 50 states and the District of Columbia. General Motors delivered 254,076 vehicles in the United States in April, up 6.9 percent compared with a year ago. Fleet sales were up 5 percent and retail sales were up 8 percent. Year-to-date GM sales are 903,713, up 0.1 percent from 2013. Ford Motor Company total U.S. sales of 211,126 vehicles last month declined 1 percent from a year ago. Retail sales of 141,950 vehicles are off 1 percent compared with a year ago. Commercial and government fleet sales were up 16 and 21 percent, respectively, while daily rental sales declined 24 percent. Year-to-date sales of 793,884 is a 2.1 percent decline from 2013. Toyota Motor Sales, U.S.A. reported April 2014 sales results of 199,660, an increase of 13.3 percent from year-ago month. Year-to-date sales of 720,657 is a 2.1 percent increase over the first four months of 2013. Chrysler Group LLCreported U.S. sales of 178,652, a 14 percent increase compared with sales in April 2013, the group’s best April sales since 2007. Year-to-date sales are 654,616, up 12 percent from 2013. American Honda reported April 2014 Honda and Acura vehicle sales of 132,456, an increase of 1.1 percent compared to April 2013. The Honda Division also saw in increase of 1.1 percent with April sales of 118,334. Acura division gained 1.6 percent on April sales of 14,122, with light trucks increasing 35.9 percent for the month on sales of 9,536 units. Year to date American Honda sales reached 457,810, down 2.3 percent. Nissan Group announced total U.S. sales for April 2014 of 103,934, an increase of 18.3 percent over the prior year and an April record. Year-to-date sales of 458,900 is a 13 percent gain over 2013. Hyundai Motor America announced April sales of 66,107, up 4.4 percent versus the same period in 2013, setting an all-time record April. Year-to-date sales of 226,120 is an 0.6 percent decline from a year ago. Kia Motors America had record April sales of 53,676, a 12.9-percent increase over the same month in 2013. Year-to-date sales of 186,682 is a 7 percent increase over 2013. Volkswagen of America reported 30,831 units delivered in April, down 8.4 percent from a year ago. Year-to-date VW sales are 118,154, down 10.4 percent from 2013. Separately, Audi reported April 2014 sales of 15,653 vehicles, up 19 percent over a year ago. Audi sales year-to-date increased 7.5 percent to 50,881 vehicles sold. Subaru of America reported 40,083 vehicle sales for April 2014, a 22 percent increase over April 2013 and the best-ever April sales month in company history. Year-to-date sales for Subaru total 152,47, a 22 percent increase over the same period in 2013. The BMW Group in the U.S. (BMW and MINI combined) reported April sales of 29,592 vehicles, an increase of 2.0 percent from the same month a year ago. Year-to-date, the BMW Group (BMW and MINI combined) is up 2.5 percent on sales of 110,626 in the first four months of 2014 compared to the same period in 2013. Mercedes-Benz USA reported best-ever April sales of 29,329 across the Mercedes-Benz, Sprinter and smart model lines, rising 12.1 percent from April 2013. Mercedes-Benz alone totaled 25,887 vehicles for the month, an increase of 9.5 percent, while year-to-date volumes for the brand reached 98,501, up 6.1 percent from the same period last year. Adding year-to-date sales of 7,018 for Sprinter Vans and 3,285 units at smart, MBUSA posted a year-to-date grand total of 108,804, marking the best second quarter start in its history. Mazda North American Operations reported April U.S. sales of 22,434 vehicles, representing an increase of 12.8 percent versus last year. Year-to-date sales through April are up 2.4 percent versus last year, with 100,492 vehicles sold. Mitsubishi Motors North America reported another outstanding sales month with April sales of 6,542, a 46.6 percent increase over the April 2013 total. It was the second highest monthly sales total for Mitsubishi in more than two years (exceeded only by last month) and also the best April sales for MMNA since 2011. Jaguar Land Rover North America reported April 2014 U.S. sales: Land Rover sales reached an all-time April high of 4,533, up 28 percent from April 2013; Jaguar sales were 1,035, down 9 percent from April 2013, and up 22 percent with 5,750 for the year. Jaguar Land Rover North America April U.S. sales for both brands hit 5,568, a 19 percent increase from April 2013. Volvo Cars of North America reported U.S. sales of 4,635 units for the month, a 3.8 percent increase versus April 2013. Porsche Cars North America announced April sales of 4,072 vehicles, an all-time, any-month record for Porsche sales in the U.S. For the year so far, PCNA has delivered 14,207 vehicles, an increase of 4 percent over last year. 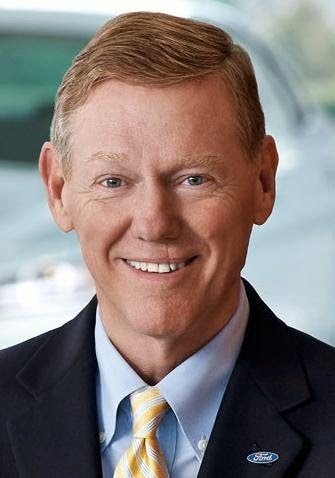 Alan Mulally (left), 68, is retiring after nearly eight years leading Ford Motor Company effective July 1st and Mark Fields (right), 53, Ford’s chief operating officer since December 2012, will be named Ford president and chief executive officer and elected as a member of the company’s board of directors. Before serving as COO, Fields served as executive vice president and president of the The Americas since October 2005.